M Source provides consulting and services to take your digital marketing from where it is now, to where you’d like it to be. We realize there’s lots of information, misinformation and just…confusion around concepts like digital marketing, inbound marketing, account-based marketing and the like. Marketing-speak as far as the eye can see. What’s the truth in all this? What actually works? What do you really need, in digital marketing, and what can you do without? Or do later? We’ll be straight with you and give as unbiased an opinion as we can, about any of this stuff. We’ll give you our informed opinion about what digital marketing methods, platforms and tools make sense, depending on what you want to achieve. Then we’ll show you how to use them or we can use them to run your campaigns for you. We’ll start by saying that the concept of digital marketing isn’t that meaningful anymore – because all marketing is digital now. Or has a significant digital aspect to it. Inbound Marketing simply describes marketing that generates demand by attracting prospects to your website with useful, informative and/or entertaining content. It’s about generating leads that convert to sales. It starts with developing a strategy for your business, then producing web and landing pages, thought leadership pieces, blog posts, videos and/or infographics that your potential clients will search for, find, enjoy — and, if you do it well, share with others. Inbound marketing relies heavily on having remarkable content that answers questions or addresses issues relevant to your target audience. It may be information about your products or services; it may be a brilliant thought leadership piece. Whatever it needs to be to get your products into the high-volume sales channels you seek, MSource Ideas can help you develop, write, and produce that content, and distribute it using the full digital toolkit. Analyze, iterate and repeat. 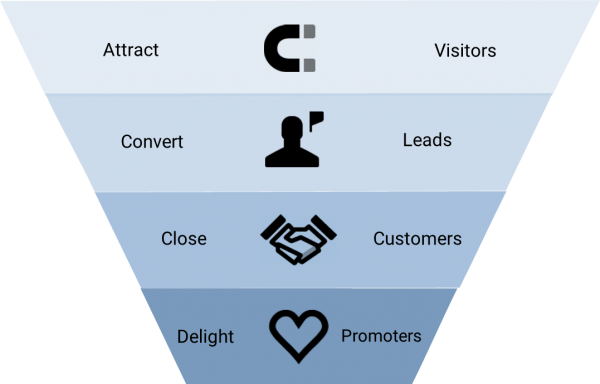 Convert visitors to leads. Close sales. Our service areas include consulting about goals, methods and software. We can help you develop your messaging, copy-writing and web presence and run campaigns designed to generate leads and greatly increase online exposure for your brand. We can either train your team to execute on these processes, or do them for you.